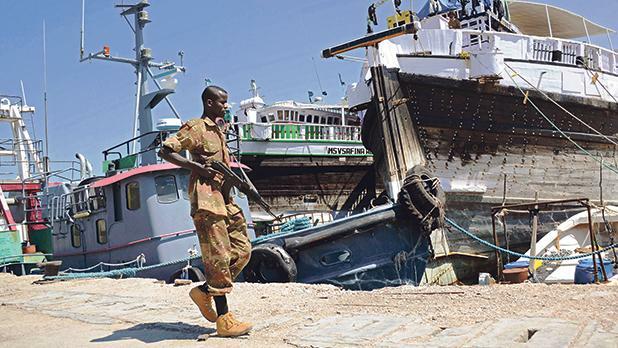 The Al Shabaab killing of a Maltese port manager in Somalia was not typical of the terrorist group and pointed to economic, rather than political, motives, regional experts told the Times of Malta. Paul Anthony Formosa, 52, from Marsascala, was killed by gunmen on Monday in the port of Bosaso, in the semi-autonomous Puntland state, in an attack which Al Shabaab said was “part of broader operations targeting the mercenary companies that loot the Somali resources”. Mr Formosa worked at P&O ports, a subsidiary of the Dubai-based global operator DP World, which was granted a controversial concession in April 2017 to develop and operate the port. “Al Shabaab have traditionally gone for spectacular attacks, aimed at demolishing the credibility of the government,” Nicola Pedde, director of the Institute of Global Studies in Rome, told this newspaper. “This was a Mafia-style execution. They have occasionally carried out these activities in the past but usually against journalists and those affecting them directly. This was economic and a message to the Emirates: your interests here are detrimental to us,” he added. Dr Pedde said the Puntland region had for years been one of the most secure and stable in Somalia, with the semi-autonomous authorities governing without much of the chaos that plagued the rest of the country. The presence of Al Shabaab in Puntland, Dr Pedde continued, was itself a relatively recent development and pointed to an evolution within the group, with new factions trying to widen its scope from solely domestic causes to a more global approach. “This idea of defending Somalia from outside influence is part of their ideological vision. Al Shabaab is mostly getting its money from illegal commerce and controlling ports,” he said. “They may be accusing these companies of looting Somalia but the real motivation is that they need the ports to get money. These companies have hijacked one of their most important sources of economic income on the ground,” Dr Peddle said. Donald Brownrigg, a private security contractor with experience of the region, agreed that, while still volatile, Puntland was generally safer than the rest of Somalia and not a region where Al Shabaab was traditionally active. The group, he said, was known to demand protection money or threaten attacks as a means of extortion. “What surprises me is that an attack like this must have taken some planning, which suggests a failure of intelligence on the side of P&O,” Mr Brownrigg said.